Even if Bryce Harper were to leave after five years, if he leaves with a World Series ring it would be worth it. Even as the Boston Red Sox were trying to acquire Alex Rodriguez 15 years ago in a three-team trade that would’ve changed the course of franchise history, they were thinking about letting him go. Rodriguez was 28 then, two years older than Bryce Harper is now, and represented by the same agent. And when Scott Boras negotiated A-Rod’s then-record 10-year, $252 million contract with the Texas Rangers, he insisted on a clause that would enable Rodriguez to opt out after seven years and return to free agency. 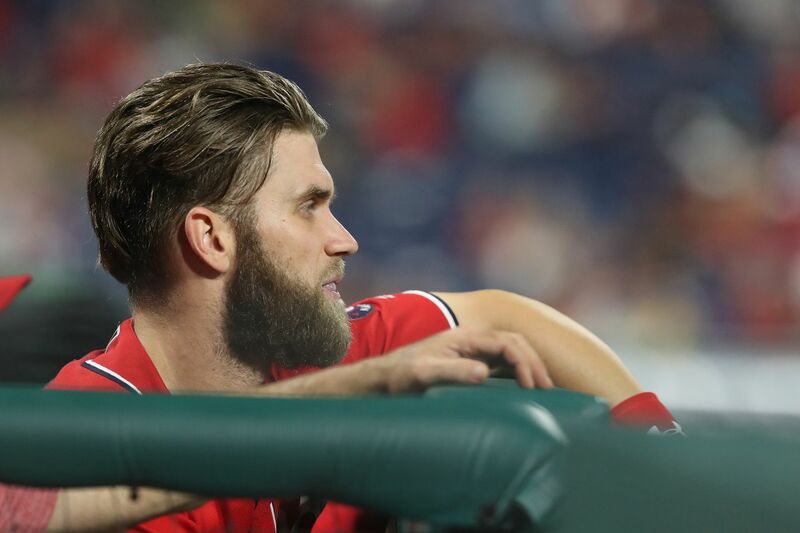 Phillies podcast: Bryce Harper meets with the Dodgers. So now what? The Red Sox would’ve inherited that provision, but they didn’t care. Actually, they embraced it as a way to avoid being on the hook for the full balance of the contract. Harper’s upcoming contract will include an opt-out, too, because it’s standard practice now. Clayton Kershaw parlayed an opt-out after last season into an extension from the Los Angeles Dodgers. Nolan Arenado will be able to shed his new eight-year, $260 million extension with the Colorado Rockies after three years. Giancarlo Stanton can opt out of his $325 million deal after the 2020 season. More than a dozen other players have received opt-outs. Elvis Andrus and J.D. Martinez — both Boras clients — got more than one. A few years ago, MLB commissioner Rob Manfred told Fox Sports that he fails to see the logic in letting a player walk, mid-contract, for a bigger payday. But injuries or performance have put fewer players in position to actually use their opt-out. And for those who do, the clause can aid a team that has the resolve to walk away. Harper, for example, figures to be at his best during the first half of a long-term deal. What team wouldn’t prefer to pay him a record salary from, say, ages 26 to 30 and not be tethered to him from ages 31 to 36? For the Phillies, it should be more a matter of reaching a compromise with Boras on when to give Harper the opt-out hammer. Boras will likely push for it after three years, just like Arenado’s deal. By then, in the winter of 2021-22, Mike Trout and Mookie Betts will probably have set new salary records, and players will be operating under terms of a new collective-bargaining agreement. Harper will also be entering his age-29 season, still firmly in his prime. That’s too soon for the Phillies. They would pay a premium for Harper based on the exceedingly young age at which he reached free agency, and prefer to push the opt-out back to the fourth or fifth year, when he’ll be in his early 30s. Manny Machado, also 26, got a fifth-year opt-out in his 10-year, $300 million contract with the San Diego Padres. But while the timing of the opt-out may be a sticking point in the ongoing Phillies-Harper negotiations, the issue of giving one out shouldn’t be. It has been a fact of life ever since A-Rod’s deal with the Rangers. And if the Phillies win a World Series or two with Harper and let him walk after four or five years, it’ll be a worthwhile trade-off.